Rock gains a remix of his MotW theme and his MotW stage. Clark inherits the Terry train stage. That's some neat progress. Also, I noticed that the P2 King's portrait doesn't has the shirt in it's alternate color. lol dang. I thought I fixed that. I've implemented all the unintentional bugs/inconsistencies that Zephhyr flagged in his video. I also forgot to post here that I switch Geese to his shirtless look (I posted that somewhere else). 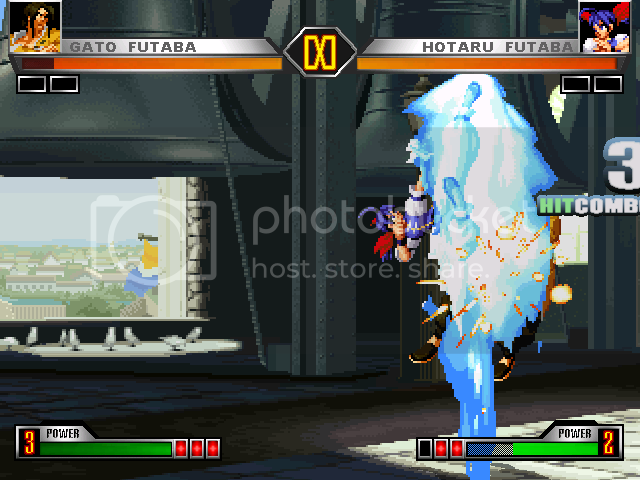 Fixed animation issues and throw issues with Eiji. 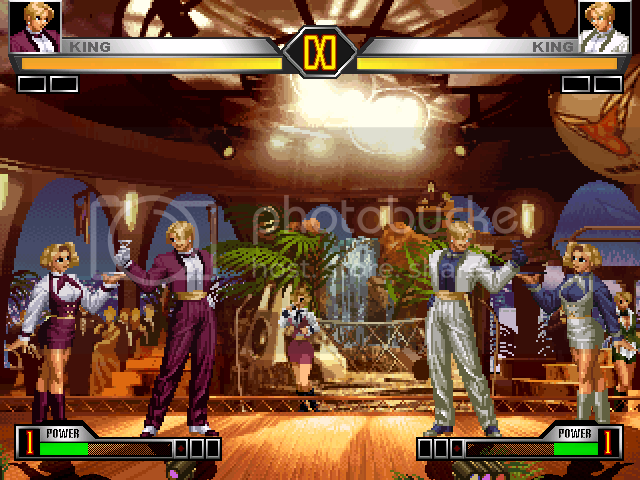 Kyo has new stage, Kensou has new stage. I can tell that v1.0 is going to be better. Fixed animation on Xiangfei's jumping CD, a blockable glitch with Clark's running 3 and block parameters on Chris' large fireball. Also decided to give Hotaru her brother's DM. The geyser ball felt too close to Mr. Big's move. Gato's head pos corrected along with a few others. New code for Shemie's throw to correct head pos binding issues. Tweaked Elisabeth's teleport to make it more useful. Fixed Ralf's bind issue for his DM. Fixed the lagging projectile issues from Andy's DM. Gave Mature a new DM and changed Kasumi's DM (counter replaces throw). She also has a new SDM animation since her dad is taking her existing one. Just about done now. Does that mean we should expect a release next week? Sadly no. Maybe 2-3 weeks. The credits are taking a long time. I'll finish soon, but I still have to mass code the tag AI. I just meant most of the bugs I'm aware of have been fixed. 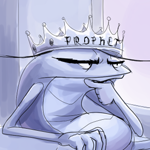 I have to fix projectile cancellers and binds without facing fixes. 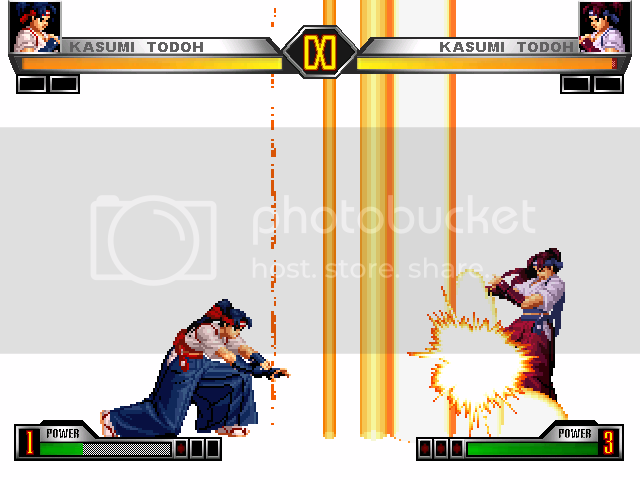 Fixed Ralph's bind glitch for his special toss in simul and Rugal's bind glitch for godpress. Fixed issues with Yuri's SDM effects and Rock's SDM effects. Fixed Athena explod issue with her Psycho Sword and gave her back her old taunt. Fixed sound issue with Blue Mary's DM. New HSDM for Neo-Dio. Goddamn, you're getting closer and closer to a release. Can't wait! The tag AI is still giving me problems. Probably because I haven't move to the new AI system, so it still "cheats" from time to time... Either that or my variable code is wrong. Either way, it's good enough for a release. About 2/3s done now. Holy f. There were a lot of bind issues that I fixed. I can't even list them all. They may still occur rarely as I did a patch more than a full on fix (using p2facing instead of redoing all the bindings). Fixed Vanessa's SDM glitch that caused her to lose 3 super bars and fixed Whip's SDM for better hit detection.